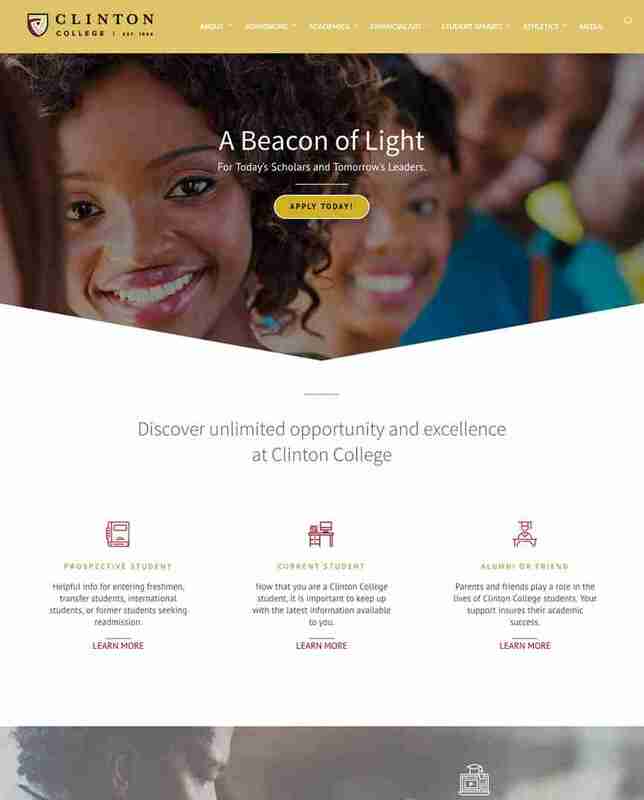 Clinton College contracted Maxmedia Studios to redesign its website to reflect its new branding initiative and marketing focus. Starting from the ground up, we considered who would be using the site and how the information would be accessed. Visually aligning the site’s look and feel with the new brand, colors and messaging has created a central information hub for students, faculty and staff.